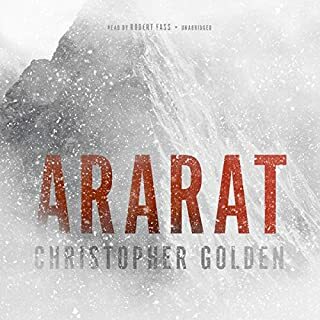 Christopher Golden's Ararat is the heart-pounding tale of an adventure that goes wrong - on a biblical scale. When an earthquake reveals a secret cave hidden inside Mount Ararat in Turkey, a daring, newly engaged couple are determined to be the first ones inside...and what they discover will change everything. The cave is actually a buried ancient ship that many quickly come to believe is Noah's Ark. When a team of scholars, archaeologists, and filmmakers make it inside the ark, they discover an elaborate coffin in its recesses. Bishop is trapped deep inside Montana's Apex Valley along with his injured wife, a shotgun-wielding stranger named Colbrick, and a sneaking suspicion he's never making it back to Chicago. Things no man has seen before haunt the woods. Strange animal species creep behind pine trees, some of them with flashing red tags that blink faster and faster. Giant birds mimic the sound of humans and lord over the sky. Leaf-shaped creatures attack anything that moves and flash vivid colors across their glistening backs. Paul Gallo saw the report on the news: a mass murderer leading police to his victims' graves in remote Dread's Hand, Alaska. It's not even a town; more like the bad memory of a town. The same bit of wilderness where his twin brother went missing a year ago. As the bodies are exhumed, Paul travels to Alaska to get closure and put his grief to rest. But the mystery is only beginning. What Paul finds are superstitious locals who talk of the devil stealing souls, and a line of wooden crosses to keep what's in the woods from coming out. Ladies and gentlemen, welcome to the Haunted Forest Tour! Sit back, and enjoy a smooth ride in air-conditioned comfort as your heavily armored tram takes you through nature's most astonishing creation. The forest is packed to capacity with dangerous and terrifying creatures of all shapes, sizes, and hunger levels, and you'll get to observe these wonders in complete safety. In a small Arizona town, a man counts his blessings: a loving wife, two teenage daughters, and a job that allows him to work at home. Then "The Store" announces plans to open a local outlet, which will surely finish off the small downtown shops. His concerns grow when "The Store's" builders ignore all the town's zoning laws during its construction. Then dead animals are found on "The Store's" grounds. Inside, customers are hounded by obnoxious sales people, and strange products appear on the shelves. Bentley Little and David Stifel hit a home run. The village of Saint-Ferdinand has all the trappings of a quiet life. Though if an out-of-towner stopped in, they would notice one unusual thing - a cemetery far too large and much too full for such a small town, lined with the victims of the Saint-Ferdinand Killer, who has eluded police for nearly two decades. It's not until after Inspector Stephen Crowley finally catches the killer that the town discovers even darker forces are at play. Starts off great, but ends rather flat. EarthCore is the company with the technology, the resources, and the guts to go after the mother lode. Young executive Connell Kirkland is the company's driving force, pushing himself and those around him to uncover the massive treasure. But at three miles below the surface, where the rocks are so hot they burn bare skin, something has been waiting for centuries. Waiting...and guarding. Kirkland and EarthCore are about to find out first-hand why this treasure has never been unearthed. Daniel Martin has never forgotten his childhood encounters with Frank Watkins, the man who built his family a summer home out of cardboard and plywood. Frank's gaze was oddly confusing, as if he was attempting to discern the proper way to behave because he didn't know how to respond in a human manner. Since Frank obviously wasn't an alien, young Daniel thought maybe the man was crazy. In the end, Daniel would learn the terrifying truth about Frank Watkins. And as an adult, Daniel is about to discover there are more of them out there. They are not human. They are not natural. They are not friendly. At a research station in Antarctica, five of the world's top scientists have been brought together to solve one of the greatest mysteries in human history. Their subject, however, is anything but human. Deep beneath the ice, the submerged ruins of a lost civilization hold the key to the strange mutations that each scientist has encountered across the globe. When a series of sound waves trigger the ancient organisms, a new kind of evolution begins. A long-extinct life form is reborn. Hovern Bog. People live in terror of it - especially the residents of Fenchurch St. Jude, the little village located at its edge. They think of it as a living being. When 2,000-year-old bodies are recovered from the bog, perfectly preserved, it is the discovery of a lifetime for archaeologist David Macauley. But close examination of the corpses reveals a curious fact: all were cruelly, mysteriously murdered, gnawed to death by some unimaginable creature. If Indiana Jones lived in the X-Files era, he might bear at least a passing resemblance to Nolan Moore - a rogue archaeologist hosting a documentary series derisively dismissed by the "real" experts, but beloved by conspiracy theorists. Nolan sets out to retrace the steps of an explorer from 1909 who claimed to have discovered a mysterious cavern high up in the ancient rock of the Grand Canyon. And, for once, he may have actually found what he seeks. Then the trip takes a nasty turn, and the cave begins turning against them in mysterious ways. Opulent doesn't begin to describe the Arizona getaway where Lowell Thurman, his wife Rachel, and their three young sons have come for one glorious week. Everything at The Reata is perfect - although Rachel is a bit unnerved by the openly lustful gaze of one of the gardeners, something she doesn't mention to Lowell. Nor does he tell her about the frightening sensation he has in the pool of hands clutching at him, trying to pull him under. Very good haunted hotel book. Shane Ryan is returning to his hometown of Nashua and the childhood memories that have haunted him throughout his adult life. 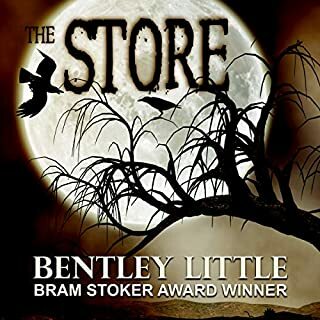 The sinister demon lurking behind his family home threatens to spill over and destroy all he holds near and dear...spurring Shane on a journey that will challenge everything he knows about himself and the world. 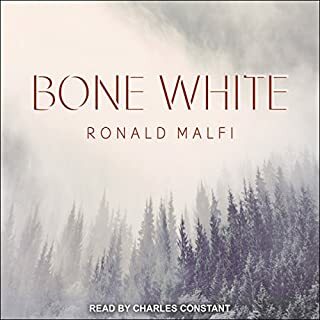 This audiobook set contains all nine of the thrilling supernatural novels in this best-selling series. Amazing series for just one credit!! Kevin Taylor is an Internet-famous handyman on a mission: Find a house and renovate it in 30 days. By flipping a derelict house in a month's time and chronicling the entire thing on video for his online subscribers, he seeks to become a star. The problems that plague this property will require more than elbow grease to fix, however. Shadows throughout the home are distorted, and an enigmatic trespasser keeps showing up in his footage. Worse still are the hideous voices that issue from otherwise empty rooms in the dead of night. Twenty-two-year-old Eileen goes missing while hiking in the remote Ashlough Forest. Five days later, her camera is discovered washed downriver, containing bizarre photos taken after her disappearance. Chris wants to believe Eileen is still alive. When the police search is abandoned, he and four of his friends create their own search party to scour the mountain range. As they stray farther from the hiking trails and the unsettling discoveries mount, they begin to believe they’re not alone in the forest...and that Eileen’s disappearance wasn’t an accident. Miskatonic University has a long-whispered reputation of being strongly connected to all things occult and supernatural. From the faculty to the students, the fascination with other-worldly legends and objects runs rampant. So, when Carter Weston's professor Dr. Thayerson asks him to search a nearby village for a book that is believed to control the inhuman forces that rule the Earth, Incendium Maleficarum, the student doesn't hesitate to begin the quest. The old timers knew it was going to be a bad winter, but no one could have predicted it would be this bad. A supernatural storm has fallen on New Hampshire and a cult leader is whipping the people of the Granite State into a frenzy. Now a handful of rugged folk from the North Country are all that stand between a tyrant and his plans for dominion. Snow is piling in the Great North Woods and the dead walk among the trees. Beware the winter wasteland. Only once before have I felt as bone-deep cold as I do having just finished "The Bleak December," and the book that did it to me was Dan Simmons' "The Terror", also in audio form. The great thing about audiobooks is that you get every word the author wrote. There's no looking at the page, deciding it's all just description of some place that doesn't matter that much and skipping over it. 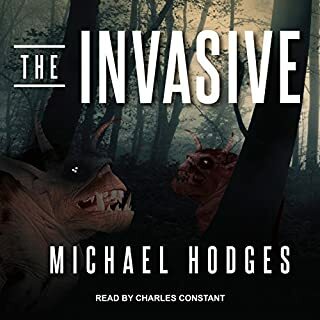 But if, like me, you listen to your audiobooks during your commute, you may find yourself rewinding more than usual to catch something in this one. Every time my attention wandered just a little, I found myself suddenly in the midst of a new situation or lacking some key detail. Summers writes leanly. Not as leanly as, say, David Morrell, but the focus of this book is very much on the story. And the setting. New Hampshire itself might as well be a character given how much it interacts with the other characters and services the story. Some characters definitely distinguished themselves to me. Wes and Melody were immediate favorites. Gordon as well. The people in this story are real. Most are good, but flawed. I thoroughly enjoyed the story, and if I didn't immediately want to dive back in and read it again, it was only because I need to warm up for a while first. Where does The Bleak December rank among all the audiobooks you’ve listened to so far? Wow! One of the best pieces of fiction I've listened to. Kevin G. Summers' writing is all encompassing, it was like reading a Stephen King novel. What was one of the most memorable moments of The Bleak December? I don't want to spoil it, but there was a distinct point where this amazing story with so many unique threads just came together. Have you listened to any of George Kuch’s other performances before? How does this one compare? No, but I really enjoyed listening to Kuch. He has an enjoyable sound, sort of like Garrison Keillor from A Prairie Home Companion. He was the perfect choice for this book. His inflection, accent, and delivery were all pitch perfect. I wasn't sure what to expect with this book and was glad to find that it was not bad at all. It was certainly a fast moving plot. when I started this book I was not sure I would like it. It started off slow but then started slowly picking up speed. The emd was a bit anti climatic but a decent book. The narrarator did a great job and I think made the difference in this book. Decent book to add to your library. They knew it would be a bad winter, but not bad like this, this was supernatural bad. 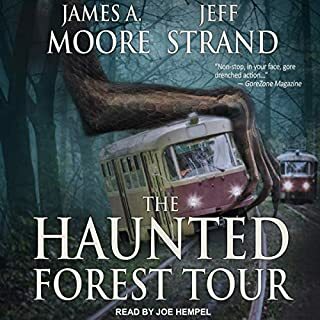 And only author Kevin Summers and his awesome narrator George Kuch could get me to keep on listening to something that goes from bad to worse and to worse still yet, but hey it was all to those New Englanders, Ayuh! 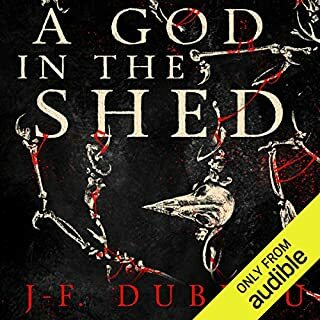 This really is a awesome book that keeps your interest to the very end no matter what and the audio narrator George Kuch really is wonderful, he did such a great job with all the characters and is just a talented narrator. 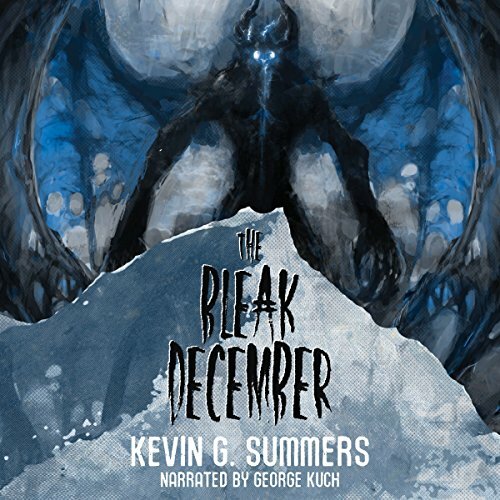 I have now enjoyed this story from Kevin G Summers two times and the audiobook version narrated by George Kuch is a great enrichment to be sure! An exiting and alternative dystopian adventure in a mysterious corner of the US Northeast! "And then it went black." A small town in New Hampshire, Stratford Corner, already isolated and, with deep snow falling, about to become more so: Winter is coming. And so much more. With a superbly orchestrated start, the reader is taken on a panoramic ride around the town, meeting, even if only briefly, with those who are to become players in the oncoming story so that, by the time the action really starts, we already know them, even feel a little empathy with them. They are already real people - and bad things are about to happen. And it is a scary story, feeling strange, but also somehow so possible, intriguing especially through the first two thirds of the book. However, repitition of certain aspects of remembrance of, in particular, one of the main protagonists, seperated from his wife and daughter, began to to intrude and it was the narrator's honeyed tones which carried me through to the (rather abrupt) ending. No. I found it long and tedious. It was a story reminiscent of Stephen King but no where near as brilliant, entertaining/enlightening. Yes it was bleak..boy was it bleak. Back story and history don't seem to fill in the gaps till it's too late. By then I am so annoyed with not knowing why something is happening, I don't care. Would you be willing to try another book from Kevin G. Summers? Why or why not? Have never listened to Kuch performance before. I think he is talented. I have never written a review so negative. I think it's because there is merit to the story but it just drags on and on with character internal monologues.The waste of potential disappoints me and makes me irritable. I used a treasured point for this so, I was determined to finish it though.